Large Cup Set + 400 ml light blue Cap GLORI MELAMINE G978BM1 Box contents 48 PcsPurchase in multiples of 1 DusPlease check our wholesale price!!! 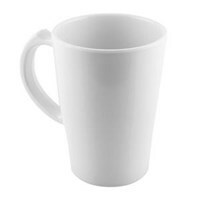 100% guaranteed cheapestMelamine Cup 400 ml. Suited for the use at home or in the Office as a container of hot coffee, drink hot tea, Estehmanis or daily drinking water, etc.Strong, shiny, scratch-resistant, heat-resistant.Made for pemakain at a temperature of-20 c to + 120C. Cangkir Sedang Set + Tutup 300 ml Putih ini dapat melengkapi meja makan anda. Dapat di gunakan sebagai wadah minum teh ocha, teh panas, kopi, berbagai minuman dingin, atau air minum sehari-hari dll. Cangkir sedang ini juga cocok untuk gelas minum anak-anak karena ukurannya yang tidak terlalu besar sehingga mudah di genggam.CANGKIR SEDANG SET + TUTUP 300 ML PUTIHDetil ProdukMerek : Glori MelamineMaterial: Food Grade MelamineWarna : PutihDiproduksi oleh PT. Multi Anugrah SuksesMade in IndonesiaSpesifikasiDiameter : 8.5 cmTinggi : 9 cmBerat : 0.2 kgKeunggulanKuatMengkilapTahan GoresGaransi Kualitas : ISO 9001:2008 , SNI 7322:2008Tahan Panas : Dibuat untuk pemakain pada suhu -20C sampai +120C.PengirimanProduk ini Ready StockPengiriman: 1-3 hari kerja ke JabodetabekWaktu pengiriman di atas sudah termasuk 3 hari waktu pemenuhan untuk memproses barang iniKlaim WarnaDikarenakan banyaknya variasi perangkat monitor dan browser, warna yang ditampilkan pada monitor Anda akan berbeda. Dengan begitu, kami tidak bisa menjamin warna yang Anda lihat atau warna yang ditampilkan di website kami akan terlihat sama pada semua perangkat.Kami melakukan usaha yang terbaik untuk memastikan warna yang ditampilkan di website kami adalah warna yang sama dengan produk sebenarnya.Peraturan PengembalianPengembalian/Penukaran karena Barang Cacat atau SalahAnda dapat melakukan pengembalian barang apabila produk Melamine yang diterima dalam keadaan rusak atau cacat. Customer Service Glori siap melayani pengembalian barang untuk ditukar.Aturan pengembalian/penukaran karena barang cacat atau salah adalah sebagai berikut:Pelanggan dapat menghubungi cs kami di +6285212140010 untuk melakukan penukaran.Penukaran akan dilakukan setelah produk pesanan sebelumnya telah diterima oleh customer service kami.Pelanggan tidak perlu menanggung ongkos pengiriman untuk penukaran. Ongkos kirim akan ditanggung oleh Glorimelamine.com.Kami akan memproses penukaran selama 7 hari kerjaKami akan melakukan pengiriman & konfirmasi pesanan baru anda.Kesalahan PengirimanApabila terjadi kesalahan pengiriman, hal pertama yang harus Anda lakukan adalah melapor ke customer service kami dengan segera. Informasikan Nomor Pesanan, data diri Anda, kesalahan pengiriman yang terjadi, dan barang yang seharusnya Anda dapatkan. Kesalahan pengiriman ini akan segera kami atasi.Perlu Diingat !Untuk melakukan penukaran /pengembalian barang harus masih dalam keadaan seperti semula (tidak terpakai,tidak kotor, tidak pecah dll).Kami tidak bisa melakukan penukaran /pengembalian terhadap barang yang sudah digunakan. Barang tersebut akan langsung kami kirim kembali ke Anda.Jaminan Kami sebagai PenjualPengiriman dan Pemenuhan Tepat WaktuMaksimum 6 hari kerja barang sudah sampai (Jabodetabek)Untuk informasi lebih lanjut, silahkan menghubungi kami HOTLINE di 021-5437-4882. 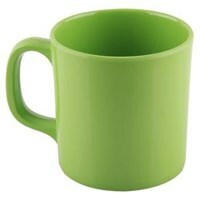 Medium Cups Set + Cover 300 ml This green can complement your dining table. Can be used as a container to drink tea ocha, hot tea, coffee, a variety of cold drinks, or drinking water daily etc. 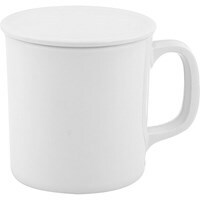 Medium cup is also suitable for drinking glasses of children because of its size is not too large so easily in the handheld. CUP LOOK SET + CLOSE 300 ML GREEN Product Details Brand: Glori Melamine Material: Food Grade Melamine Green color Produced by PT. Multi Anugrah Sukses Made in Indonesia Specification Diameter: 8.5 cm Height: 9 cm Weight: 0.2 kg Excellence Strong Shiny Hold Scratch Quality Guarantee: ISO 9001: 2008, SNI 7322: 2008 Heat Resistant: Made for usage at -20C to + 120C. Delivery This product is Ready Stock Delivery: 1-3 working days to Jabodetabek Delivery time above includes 3 days of fulfillment time to process this item Claim Color Due to the large variety of monitor and browser devices, the colors displayed on your monitor will be different. That way, we can not guarantee the color you see or the colors displayed on our website will look the same on all devices. We do our best to ensure that the colors displayed on our website are the same color as the actual product. Rule of Return Return / Redemption due to Defective or False Goods You may refund if the Melamine product received is damaged or defective. Customer Service Glori ready to serve the return of goods to be exchanged. Rules of return / redemption due to defective or false items are as follows: Customers can contact our cs at +6285212140010 to make redemption. The exchange will be made after the previous order product has been received by our customer service. Customers do not need to bear freight charges for redemption. Postage will be borne by Glorimelamine.com. We will process the redemption for 7 business days We will send & confirm your new order. Delivery Error In the event of a delivery error, the first thing you should do is report to our customer service immediately. Inform your Order Number, your personal data, the delivery errors that occurred, and the goods you were supposed to get. This delivery error will be resolved soon. Keep in mind! To redeem / refund the goods must be still in the original state (unused, not dirty, not broken etc.). We can not exchange / refund the goods that have been used. The goods will be sent back to you directly. Our Guarantee as Seller Delivery and Fulfillment on Time Maximum 6 working days of goods have arrived (Jabodetabek) For more information, please contact us HOTLINE at 021-5437-4882. Medium Cups Set + Cover 300 ml This Orange can complement your dining table. Can be used as a container to drink tea ocha, hot tea, coffee, a variety of cold drinks, or drinking water daily etc. 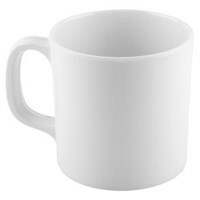 Medium cup is also suitable for drinking glasses of children because of its size is not too large so easily in the handheld. MIDNIGHT CUP + SET + CLOSE 300 ML ORANGE Product Details Brand: Glori Melamine Material: Food Grade Melamine Orange color Produced by PT. Multi Anugrah Sukses Made in Indonesia Specification Diameter: 8.5 cm Height: 9 cm Weight: 0.2 kg Excellence Strong Shiny Hold Scratch Quality Guarantee: ISO 9001: 2008, SNI 7322: 2008 Heat Resistant: Made for usage at -20C to + 120C. Delivery This product is Ready Stock Delivery: 1-3 working days to Jabodetabek Delivery time above includes 3 days of fulfillment time to process this item Claim Color Due to the large variety of monitor and browser devices, the colors displayed on your monitor will be different. That way, we can not guarantee the color you see or the colors displayed on our website will look the same on all devices. We do our best to ensure that the colors displayed on our website are the same color as the actual product. Rule of Return Return / Redemption due to Defective or False Goods You may refund if the Melamine product received is damaged or defective. Customer Service Glori ready to serve the return of goods to be exchanged. Rules of return / redemption due to defective or false items are as follows: Customers can contact our cs at +6285212140010 to make redemption. The exchange will be made after the previous order product has been received by our customer service. Customers do not need to bear freight charges for redemption. Postage will be borne by Glorimelamine.com. We will process the redemption for 7 business days We will send & confirm your new order. Delivery Error In the event of a delivery error, the first thing you should do is report to our customer service immediately. Inform your Order Number, your personal data, the delivery errors that occurred, and the goods you were supposed to get. This delivery error will be resolved soon. Keep in mind! To redeem / refund the goods must be still in the original state (unused, not dirty, not broken etc.). We can not exchange / refund the goods that have been used. The goods will be sent back to you directly. Our Guarantee as Seller Delivery and Fulfillment on Time Maximum 6 working days of goods have arrived (Jabodetabek) For more information, please contact us HOTLINE at 021-5437-4882. 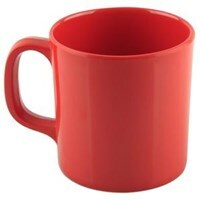 Medium Cups Set + Cover 300 ml This red can complement your dining table. 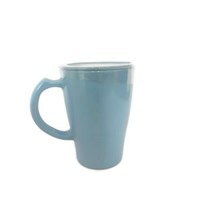 Can be used as a container to drink tea ocha, hot tea, coffee, a variety of cold drinks, or drinking water daily etc. 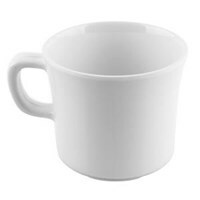 Medium cup is also suitable for drinking glasses of children because of its size is not too large so easily in the handheld. CUTKIR SEDANG SET + CLOSE 300 ML RED Product Details Brand: Glori Melamine Material: Food Grade Melamine Red Produced by PT. Multi Anugrah Sukses Made in Indonesia Specification Diameter: 8.5 cm Height: 9 cm Weight: 0.2 kg Excellence Strong Shiny Hold Scratch Quality Guarantee: ISO 9001: 2008, SNI 7322: 2008 Heat Resistant: Made for usage at -20C to + 120C. Delivery This product is Ready Stock Delivery: 1-3 working days to Jabodetabek Delivery time above includes 3 days of fulfillment time to process this item Claim Color Due to the large variety of monitor and browser devices, the colors displayed on your monitor will be different. That way, we can not guarantee the color you see or the colors displayed on our website will look the same on all devices. We do our best to ensure that the colors displayed on our website are the same color as the actual product. Rule of Return Return / Redemption due to Defective or False Goods You may refund if the Melamine product received is damaged or defective. Customer Service Glori ready to serve the return of goods to be exchanged. Rules of return / redemption due to defective or false items are as follows: Customers can contact our cs at +6285212140010 to make redemption. The exchange will be made after the previous order product has been received by our customer service. Customers do not need to bear freight charges for redemption. Postage will be borne by Glorimelamine.com. We will process the redemption for 7 business days We will send & confirm your new order. Delivery Error In the event of a delivery error, the first thing you should do is report to our customer service immediately. Inform your Order Number, your personal data, the delivery errors that occurred, and the goods you were supposed to get. This delivery error will be resolved soon. Keep in mind! To redeem / refund the goods must be still in the original state (unused, not dirty, not broken etc.). We can not exchange / refund the goods that have been used. The goods will be sent back to you directly. Our Guarantee as Seller Delivery and Fulfillment on Time Maximum 6 working days of goods have arrived (Jabodetabek) For more information, please contact us HOTLINE at 021-5437-4882.